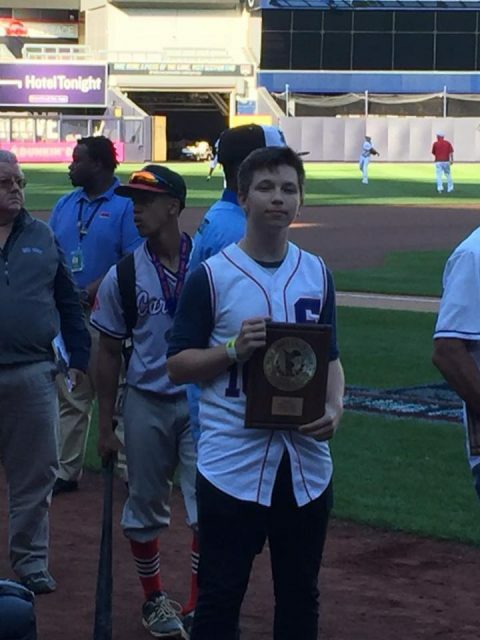 After one of the most dominant seasons ever recorded by a Stuyvesant pitcher, Jared Asch traveled to Yankee Stadium on June 11 for a ceremony honoring New York City’s top high-school baseball players. Though he was recognized for his 6-0 record in regular-season league games, Jared’s other stats are equally impressive: an ERA of 1.19, a WHIP of 1.02, two complete games, and a 4:1 K:BB ratio. The last Stuyvesant hurler to earn as many as 6 wins on the season was Evan Lubin, who performed the feat in 2012.